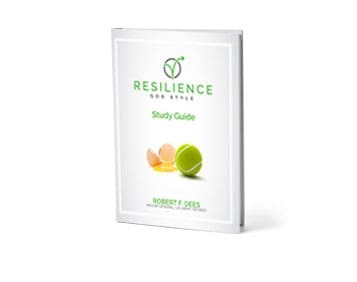 The Study Guide assists the personal application of resilience principles. 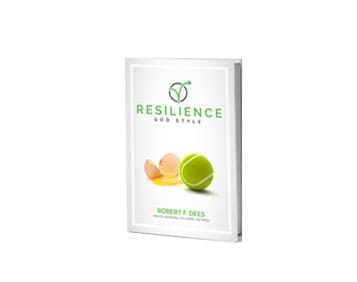 This book set makes the most of your resilience journey. 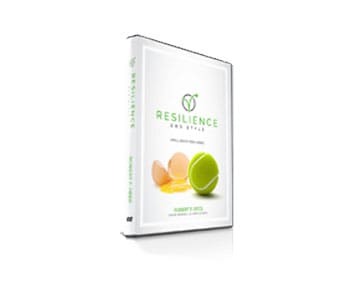 The video series is 3 DVDs including a leader’s instructional video, welcome video and 8 30-minute lessons. 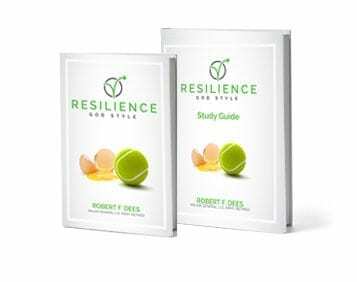 The Leader Set includes 1 video series plus a RGS Book and a Study Guide. The Group Set includes 1 DVD copy and 8 RGS Books and 8 RGS Study Guides. Bounce Back Without Getting Stuck. 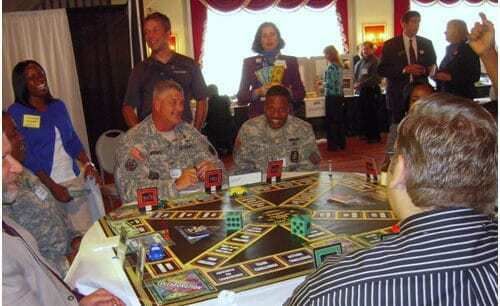 A New Game With Questions and Content Written By Major General (Retired) Robert F. “Bob” Dees. 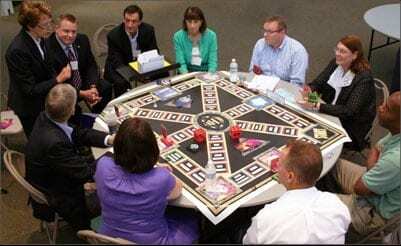 Up to 8 players – ideal for families and small groups. 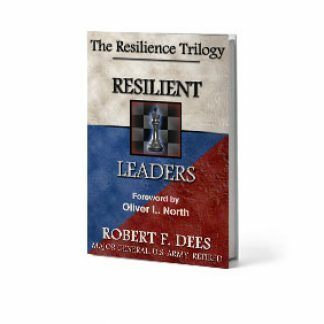 The reality is that all of us need resilience. 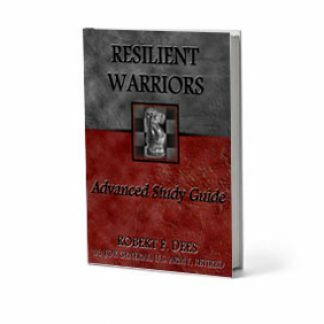 We are each warriors as we battle the trials and tribulations, the body slams of life. 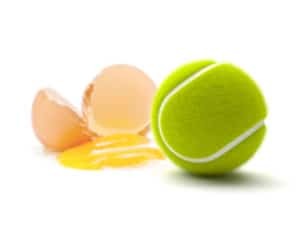 We each need the ability to get better and not bitter when the unexplained storm of life assault us, our families and friends and are very identity. 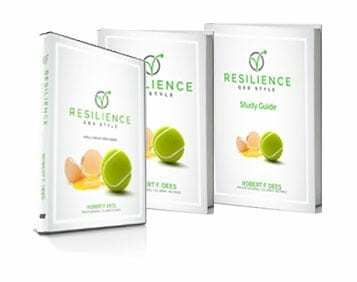 With the Resilience God Style Training Game, we address how to “Build bounce”, how to “Weather the storm” and how to “Bounce back without getting stuck” applied across the individual, leader, church and national domains. Up to 16 players – ideal for Church, Chaplain, and Corporate use. 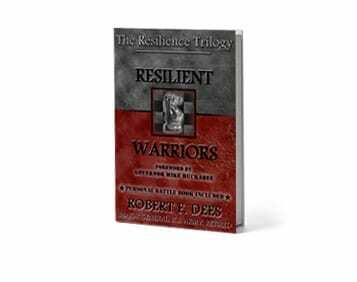 Visit the Official Resilience Trilogy website for information, endorsements, and an excerpt from each book. 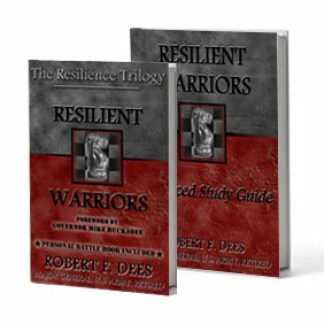 The Resilient Warriors Book Set includes both the Resilient Warriors book and Resilient Warriors Advanced Study Guide. “Leadership is a contact sport!” How do we as leaders rebound and help others do the same. 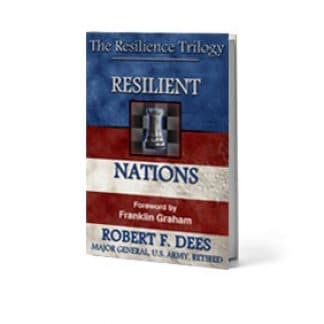 Looking at resilience from a national perspective. 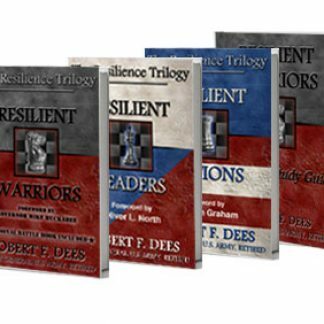 All three of the Resilience Trilogy books and Advanced Study Guide books for a discounted price. 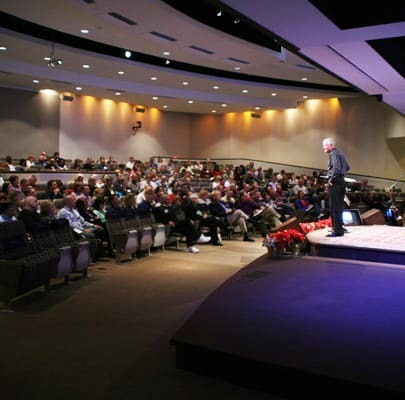 These presentation slides of Bob Dees are available for download below.